Art need not have immediate impact to be of value; it could be troubling yet still bear repeated viewing. Vahid Jafarnejad, paintings are simultaneously horrific and comic, abject and insidiously seductive. In his work horror and the grotesque pervade the human face or its surrogate, colliding and interviewing in provocatively complex and contradictory ways. His use of forms and expression presents an intriguing parallel to the ways in which earlier artists have invoked the grotesque and monstrous. In a play on the unconscious dream state, he places his paintings within a realm of fantasy, still shy of the “whimsical” society. His painting traces kinship to the 18th century artist, Francis Goya’s work and the contemporary artist, Cindy Sherman; Jafarnejad’s work is not an emulation of Goya’s or Sherman’s, but a degree of affinity can be found between his paintings and their engagement with certain social themes and sensibilities. 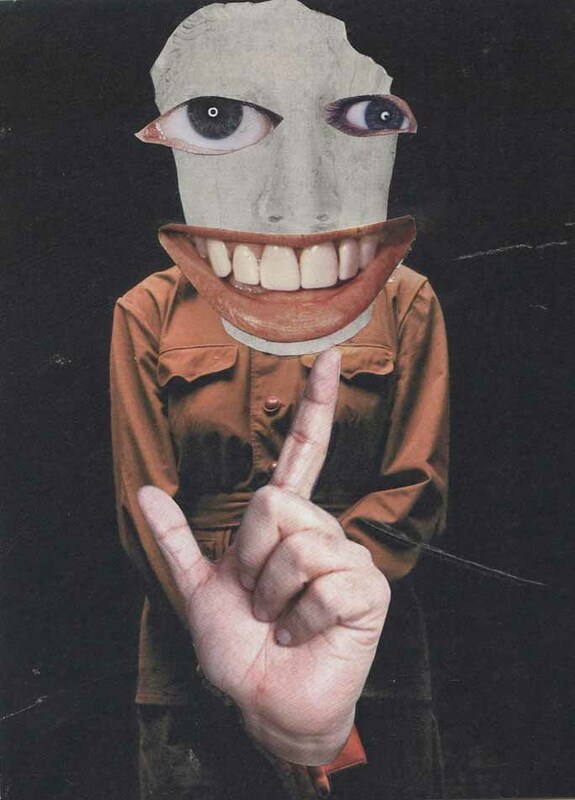 In addition to affinities with the works of Goya and Sherman, the manifestation of the grotesque in Jafernejad’s work is particularly reminiscent of the eccentric and eerie manipulated figures in the photo-collages of Hannah Hoch. Concept of identity is at the heart of Vahid Jafarnejad’s expressive paintings; whether it is the search for his own ; or questioning those that have shaped his life. Often, he uses a self-imposed isolation to get under the skin of his paintings’ subjects. His quest leads him to parks late at night, or to mingle with the homeless, nourishing his imagination much like an actor getting into character. He paints part illusionistic and part abstract faces. His hybridized portraits are fueled by eastern and western influences. The face is real and made to look like a mask or it is the mask that nonetheless looks out with an uncannily affective gaze, he draws allusions to cloning and concept of designing a face to order; but in Vahid Jafarnejad’s work, through patch working of the facial element, the resulting beauty is in fact grotesque.